Not only are articles from well-known newspapers and magazine almost instantly recognizable to customers, they also offer said customers the chance to read about your achievements in detail and get to know why you and/or your business are worthy of attention and respect. 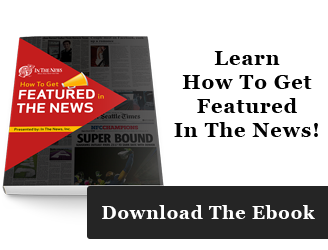 What could be better for your business than displaying a featured article plaque? How about making a whole wall of featured article plaques? Getting a mention in the local paper for doing something is pretty awesome in and of itself, having enough featured articles from various publications to make a whole wall of plaques really shows off your business as being worthy of respect and trust. Uniqueness of Articles. 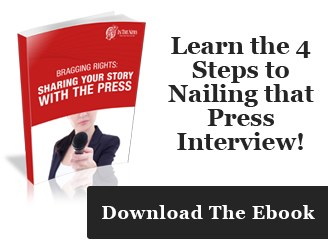 If you’ve been mentioned in major publications for a variety of achievements, share them! Each plaque on the wall should be from a different publication or for a different achievement. 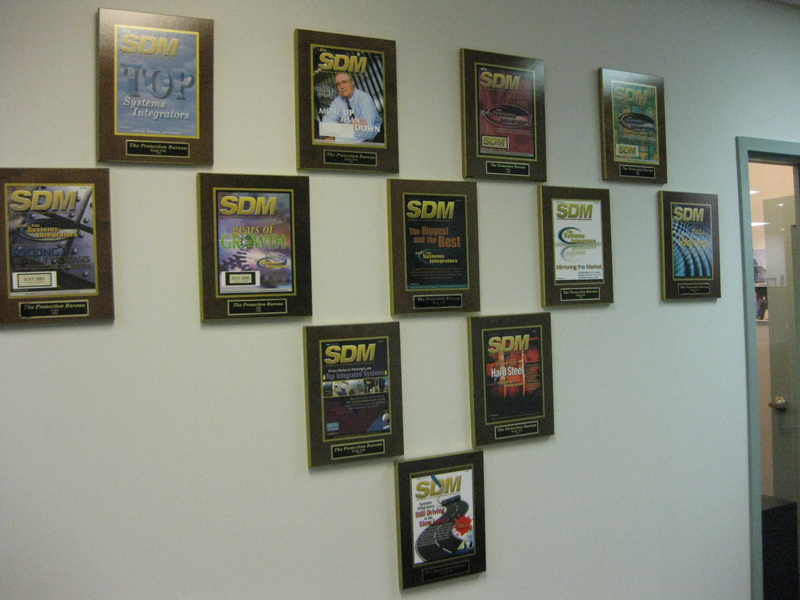 If your customers are impressed with one plaque, they’ll be floored when they find out that each plaque on your wall is for a unique accomplishment. Individual Plaque Designs. Each plaque in the plaque wall should complement the others. For example, if you start a plaque wall with wooden plaques, then any new plaques you add should probably be made of wood as well. Alternatively, you can intentionally mix up the styles of the plaques you add to the wall, creating a checkerboard effect, stripes, or even a broad mosaic effect. Naturally, the more complicated the pattern, the tougher a time people will have seeing it. Here, some planning can go a long way. Plaque Sizes. Not every article fits neatly into a one-page plaque while remaining readable. Sometimes (especially for magazine articles with lots of images), an article might take several pages, requiring a larger multi-page plaque to fit it all. When making a plaque wall, you can use these larger items as a centerpiece to grab immediate attention, then surround them with smaller plaques containing articles from other publications featuring similar stories. 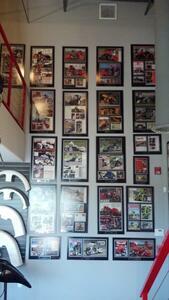 The effect of being able to see an entire wall of achievements is enormous on potential customers. Many who see such displays can’t help but be curious about the stories behind each plaque, giving you an opportunity to strike up a discussion about your business and how you earned the distinction. Retail businesses aren’t the only places that can benefit from having a plaque wall. Many schools also have a practice of making plaques of their top students and putting them on a wall display for all to see. While these displays inspire trust in the school, they also act as a way to motivate students to do their best. If only the top few students from each graduating class can earn a place on the wall, students will compete for the privilege of being featured on the wall. Why? Because, for students, being featured on the wall for academic excellence is a chance to earn recognition from future generations of students. Never underestimate the power of bragging rights as an incentive for encouraging effort. Beyond simply providing bragging rights, plaques celebrating top graduates helps to put a face to the success stories of your school, showing students that people just like them can make it, and have made it in the past. You can even share stories and anecdotes about each of the students featured on the plaque wall to help further inspire current students. Overall, a plaque wall is a great way to immediately command the awe and attention of a new visitor. A large wall of plaques is a visually impressive sight, and is sure to capture the imaginations of those who see it. Of course, in order to make a plaque wall, you need a plaque first. 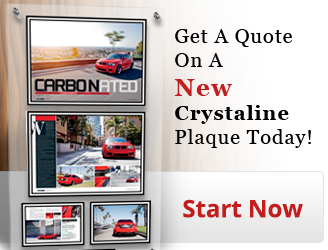 To get started on your own plaque wall, contact In The News today, and we can help you with the plaque creation process.